Established in year 2008. We, “V.S.K Shaft Sealing System”, are a leading firm engaged in manufacturing and supplying Carbon, Graphite and Allied Products. 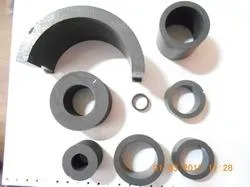 Our product comprises Carbon Seal Ring, Carbon Thrust Bearing, Carbon Gland Ring, Carbon Steam Joint Bearings, Carbon Vane Blade, Lubricating Graphite Block, Carbon Brushes, Brush Holders, Carbon Seal Face Rings, Carbon Gland Ring, Carbon Thrust Bearing, Carbon Vanes, Thrust Bearing For Sub Pump, Carbon Radial Bearing For Sub Pump etc. Our products are most sought after by our clients for being strongly constructed, dimensionally accurate, superior endurance and highly elastic. For the above mentioned reasons, these products are widely used in many applications and industries that includes chemical & petrochemical, textile, mechanical seal, pharma and OEM pump manufacturers. We are an individually owned organization situated at Navi Mumbai (Maharashtra, India). Our state of the art infrastructure helps us in serving to our clients with the best products. 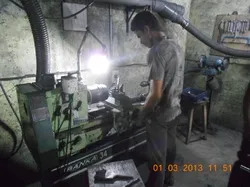 We have facilitated our infrastructure with advanced machines and tools to fabricate high end products. Operated by experienced professionals, these machines are bought from leading suppliers to ensure their functionality and quality. Together with these products, we also provide after-sales support and training to provide total customer satisfaction. Our organization is run by the professionals who have deep understanding of this industry and customers needs. They can also provide custom-build products as per the need and specifications, provided by the clients. We “V.S.K Shaft Sealing System”, are a leading firm engaged in manufacturing and supplying Carbon, Graphite and Allied Products. Our products are most sought after by our clients for being strongly constructed, dimensionally accurate, superior endurance and highly elastic. For the above mentioned reasons, these products are widely used in many applications and industries that includes chemical & petrochemical, textile, mechanical seal, pharma and OEM pump manufacturers. We are headed under the able guidance of “Mr. Nirmal Goenka”, who have years of experience team in the field of carbon manufacturing and marketing, who have years of experience in the domain. Due to his in-depth knowledge of current trends of carbon industry, sharp business acumen and unending efforts to offer unmatched products in the market, we have acquired an enviable position in the market. Manufacturing and Trading of Carbon Products and Pump Bearings. We are widely known for being a quality oriented organization, which provides high quality products to the customers. Our products are manufactured adhering to international standards of quality. 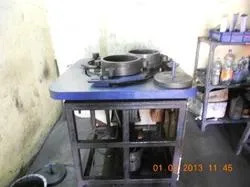 We have developed a separate testing lab, which is manned by experienced quality controllers. Our quality wing comprises latest testing tools and machinery to check all the raw material and products on stringent parameters. A team of quality experts keeps a close tab on every production stage to rule out any possibility of errors or defects from the products. 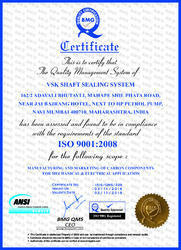 We are an ISO Certified Organisation. We are a distinguished manufacturer and supplier of Carbon Graphite and Allied Products. These products are widely appreciated in the market for their rigid construction, longer service life, high efficiency and corrosion resistance. The range of metallic products, offered by us finds extensive application in various engineering and allied industries. 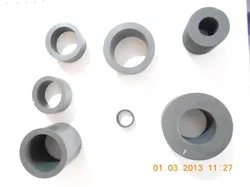 Furthermore, the team of qualified professionals, employed by us, makes sure to use the high-grade raw material, while manufacturing these graphite products. We have nurtured a team of highly qualified and experienced members, who hold immense expertise in their respective domain. It's due to their dedication and meticulous efforts that we have carved a remarkable position for ourselves in the domain. Our professionals are well aware of latest market trends and aim to supply cutting edge tools and components to the customer.